Heavy metal warlocks October 31 have just had their first two albums, The Fire Awaits You (reviewed here) and Meet Thy Maker (reviewed here) reissued for the first time ever on CD via Hell's Headbangers Records in January 2014. 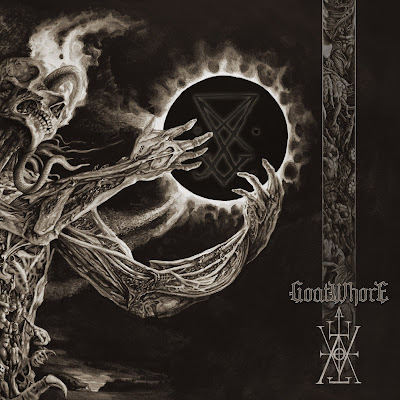 These releases promptly followed 2013's EP Gone with the Devil, the first tinge of new material from the band since 2005's No Survivors full-length album. 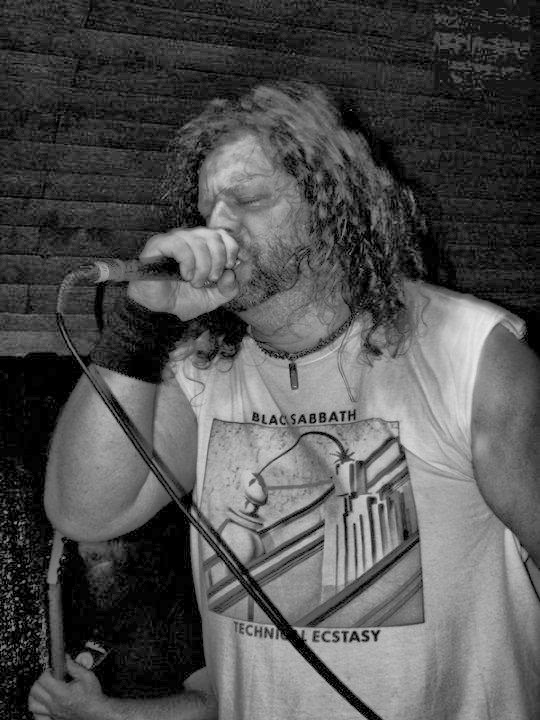 King Fowley recently connected with Volumes of Sin to discuss the original October 31 albums as well as a new effort titled Bury the Hatchet. The interview is done between Villi Thorne and King Fowley. 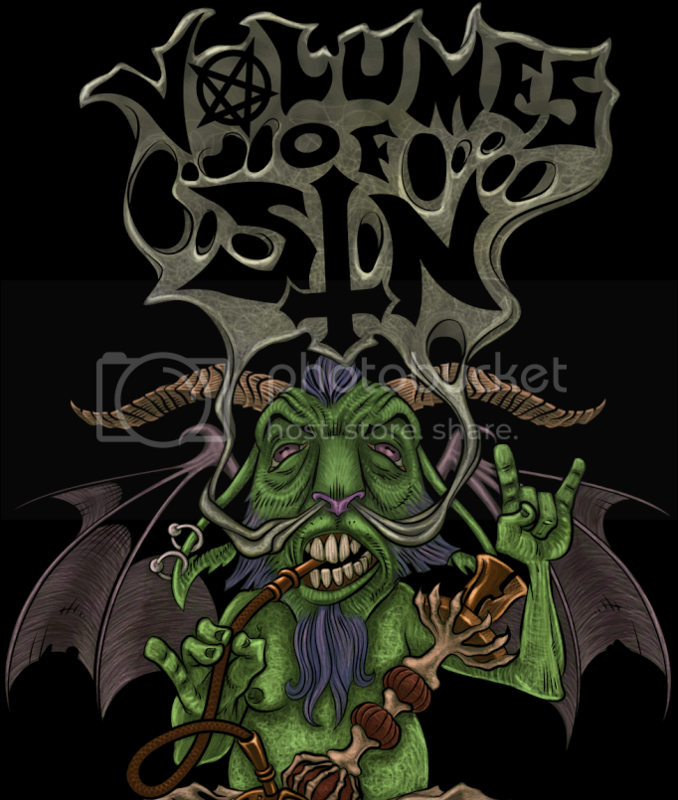 Greetings from Volumes of Sin! Thank you for taking the time for this interview. What have the members of October 31 been doing recently? Are you guys currently touring at all, maybe playing some gigs here and there? Writing and rehearsing and a few one off gigs to keep us live show happy. Finishing touches on new album Bury the Hatchet which we will record in April. Got a gig with Satan next month here in Philly. Should be a blast! Are there any upcoming tours that fans should be getting excited for just yet? Nothing to scream out yet. Working on possible west coast tour later this year and maybe a trip down to Texas as well this year. All just ideas for the moment though. Many fans would say that your first two albums, The Fire Awaits You and Meet Thy Maker, are cult classics. Looking back nearly fifteen years later, did you ever expect these two albums to rise to such a status within the metal community? They were done on no money but with a lot of heart. I enjoy those songs if not the production or my pretty blah vocals on them. I was ‘beat up’ vocally from Deceased material and it is what it is. They did get great receptions when they came out. So cheers for that! I enjoy listening to them now and then and remembering the times and adventures of writing/recording them. The last full-length release from the band was 2005's No Survivors. We've gotten a small taste of October 31 since then with the Gone to the Devil EP which was released late last year. Is there currently a new full-length release in the works? If so, what details can you elaborate on at this time? Indeed, a 10 track new record, Bury the Hatchet! It's heavy metal and nothing more or less. A bunch of new cuts by 5 guys wearing metal t shirts. A few new titles are "Down at Lovers Lane", "The House Where Evil Dwells" and "Tear Ya Down". Look for it this summer on Hell's Headbangers Records. Let's talk about the creation of The Fire Awaits You. It's one of those albums that stick with you from the first time it's heard. Songs such as "The Warlock", "Salem's Curse" and "Lost City" can be recalled on a whim years later. How were these songs born, can you give us some background behind them? We literally went into a basement room one weekend and banged those out, me Jim and Brian. Looked for hooks and the heavy metal attack and swore them to names and pretty much left them alone. We’re not breaking any new ground musically, just trying to create catchy, memorable heavy metal. Being a metal band in the late 90's and releasing your first record, what obstacles did you have to overcome to get this album out to the public? None! We didn't care if it would sell or not. We did a demo and a guy named Stan Koson heard it. He had a new label called R.I.P. Records and asked us to join on. He even named the album from the song from our Voyage to Infinity demo tape a year prior. We wrote what we wanted to play and hear. and he put it out. Some people found it and it ‘caught on’ with a few folks, mainly in Europe. And it sold quite well. Which was a shock considering it was 1997 and a lot of heavy metal traditions were now out of season to the masses who had lost their way or were exposed for always being duds. We never cared what the ‘fashion’ was! Heavy metal is our music always!!! The deluxe editions of your first two albums were just released through Hell's Headbangers Records earlier this year in January. Did you pick Hell's Headbangers Records for these releases and why? Yes! Great label and great guys. They worked with Deceased and liked this as well. Was never an issue of not believing in them. They do a great product and are easy as hell to deal with. The way it should be. Cheers to them for the support!!! Are you hoping this will bring a revival back to October 31 as a band since you've been mostly dormant for quite some time? Honestly we could care less. We set it up and knock it down, that’s the spirit we have. Not in this for fame fortune or any of that. Just now and then a few guys write some new tunes and release it as a new musical entity. It’s that time again now. The stars have aligned up or whatever mystical powers you want to add in for spooky effect. What is your personal favorite October 31 song and why? I can honestly say… I really like quite a few. Can’t pick just one. A few of my favorites are "Salem’s Curse", "Visions of the End", "The Warlock", "Just an Illusion", "Commit to Sin" and "Meet Thy Maker". Well, we're definitely looking forward to hearing more tunes from October 31 in the future. Cheers, and thank you for your time! Thank you for the interest and support. Stay loud, ugly, wild, sincere, gruesome, barbaric, revolting, hyper, bug eyed, and in touch.